When Results Matter: Choose Academic Manager! 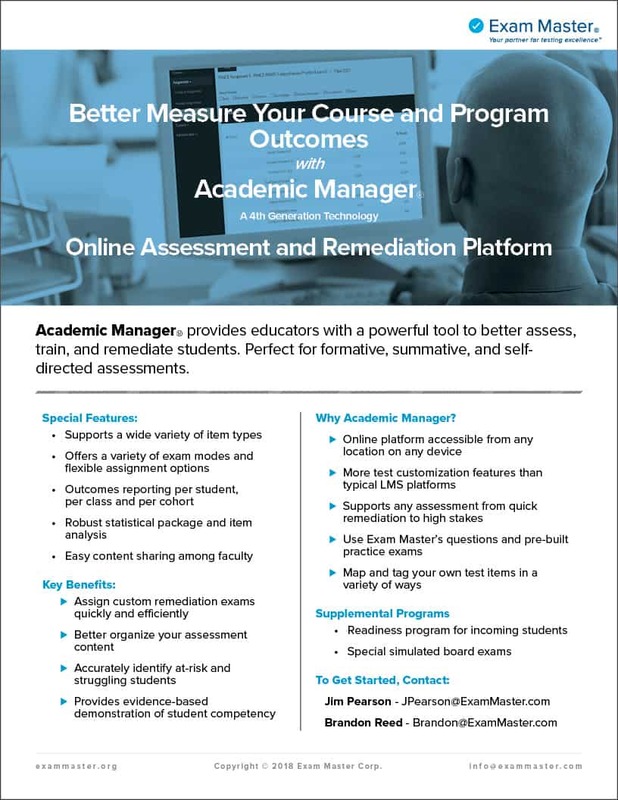 Academic Manager is a 4th Generation online testing system incorporating the latest features in electronic testing into a sophisticated, easy-to-use platform. Fill in the form below to request a free trial!